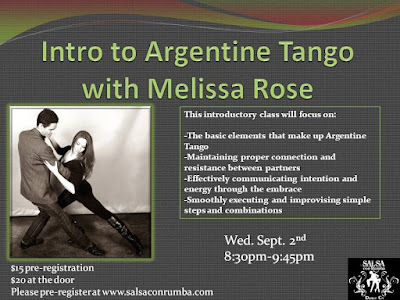 Next Wednesday, September 2nd, I will be teaching a beginner's class in Argentine Tango. This is the first time I've had the privilege to teach right here in my hometown! 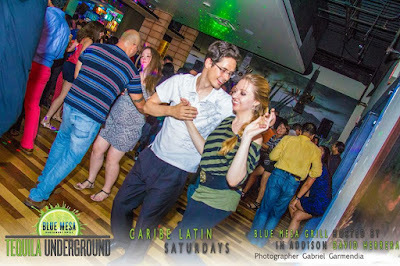 Argentine Tango can uniquely be described as a conversation in which both partners strive to listen to and understand one another. It is delightfully unscripted; without choreography or standardized patterns. Every element of every step including timing, speed and direction is communicated through the leader's invitation and the follower's choice to accept, requiring each partner to pay full attention to the subtle signals and movements of the other. The follower must suspend anticipation and expectations, while the leader must listen and wait for his follower's response, and often adjust his movements to accommodate hers. 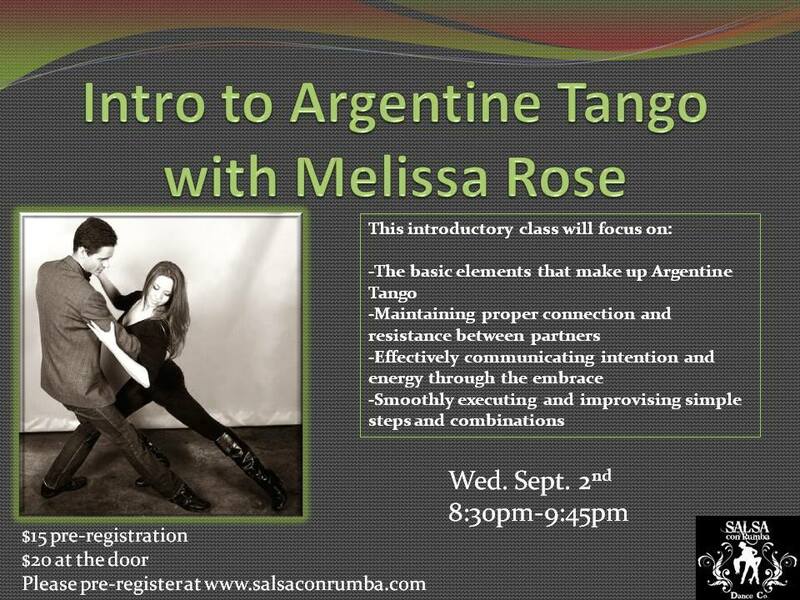 Please visit www.salsaconrumba.com to pre-register. Someone caught a photo of us at last night at Blue Mesa's Salsa Saturday!